Medicaid is a program intended to help the sick, elderly, disabled and poor, but in Vermont, it is also being used to quietly pad politically friendly unions’ bank accounts. Here and in just 10 other states, a practice — or scheme, according to the U.S. Supreme Court — known as “dues skimming” is taking place. Dues skimming, in total, costs Medicaid an estimated $200 million each year. In Vermont, there are an estimated 7,500 caregivers, many of whom are unaware that they are paying dues or fees to a union, nor do they see any meaningful benefit. The way dues skimming works is this. In 2013, the Vermont Legislature passed and Gov. Shumlin signed into law Act 48, which allowed home health care providers to form a union. The argument used here was a stretch: that since Medicaid is public money, caregivers who receive payment from the program are de facto government employees. The resulting union (Vermont Homecare Providers/AFSCME) got the exclusive right to collectively bargain with the state on behalf of all home healthcare providers, union members or not, over a number of issues, including subsidy rates. But, in many cases these workers are actually just family members of the people they are caring for. The idea that a mother would be pressured into paying union dues for the privilege of looking after her disabled child, or that a union would be able to improve the working conditions of a mother caring for a child in her own home, would strike most people as absurd, but this is how dues skimming works. Under this arrangement, union members are charged dues, but before the Supreme Court put a stop to it, non-union members were are also on the hook for “agency fees” of up to 85 percent of the member dues. And here’s the catch: even after the Supreme Court put and end to the forced dues, the state still collects dues on behalf of the union, paying it directly out of Medicaid funds. Oftentimes the home-care provider never sees the money, and in many cases is unaware that their wages are being reduced (hence the term “skimming”), or that they even have a relationship with the union to begin with. In this way, the government is siphoning money from Medicaid checks into union accounts before those funds ever reach the patient and caregiver, and often without providing much in return. In 2014, mom Pamela Harris sued the SEIU for forcing her to pay dues as a condition of caring for her disabled son Josh, and the U.S. Supreme Court ruled in her favor, saying in-home caregivers can no longer be forced to pay union dues. Unfortunately, unions have come up with complicated rules to keep caregivers in the dark about their rights and make it difficult for them to drop membership if they so choose. In Washington State, for example, union dues are automatically deducted from workers’ Medicaid checks, putting the onus on the individual to first realize this is happening, then pursue the union to stop the withdrawal. Caregivers who belong to SEIU 503 in Oregon may only drop membership during a brief, arbitrary window that’s unique to each member. In California, caregivers are forced to watch a union pitch just to be allowed to look after a loved one who receives Medicaid. So, in effect, little has changed and in-home caregivers are regularly forced into unions they don’t wish to associate with. This is a policy clearly designed by politicians to enrich unions, which inevitably return the favor by using some of that money to support those same politicians come election time, at the expense patients, caregivers and taxpayers. It’s time for this to end and for Congress and the U.S. Department of Health and Human Services to stand up for Medicaid, its patients, and caregivers, and get out of the business of collecting dues on behalf of labor unions. By simply clarifying administrative rules, HHS could ensure Medicaid dollars are spent where they are needed — on caring for those in need. Congress could also prevent Medicaid funds from being wrongfully diverted to unions. Both solutions would free up more money for patients who deserve the best care possible, while allowing caregivers to spend their time where it’s needed — on serving their loved ones, not fighting unions. And, those caregivers who do wish to belong to a union would still be able to do so — they could pay their dues on their own but not be forced to have those fees skimmed from their Medicaid checks. 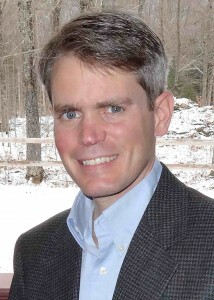 Rob Roper is president of the Ethan Allen Institute. How insane can you get? SEIU is the most corrupt organization in the country. Some of their tactics are criminal, ie. causing physical harm to anyone disagreeing with them. Rob: Can you elaborate on how ‘the hook’ referenced above worked? Were the ‘agency fees’, for example, withheld from non-union member pay checks or deducted from Medicaid payments? And what entity/agency directed the withholding? Knowing precisely how this scam works is important.